Seems like some of our friends in the JBlogosphere seem to have even more time on their hands than the rest of us! 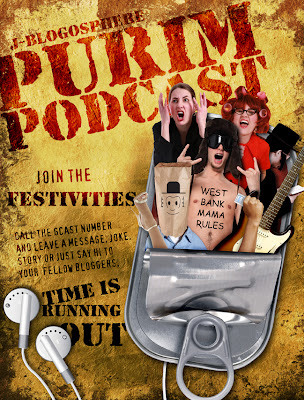 The Holy Hyrax has come up with this simply indescribable Purim Poster advertisement for the upcoming Purim Podcast. Not all the characters shown below will be featured (and the West Bank Mama message on that guy's chest is rather odd), but who am I to critique the graphic artist prowess of the Holiest of Hyraxes? I am but dust under his feet. It's not too late to submit something, if you haven't already! Purim or Not. You decide. JBLOGOSPHERE PEOPLE: TIME IS RUNNING OUT. That's right, if you want a chance to be part of this year's JBlogosphere Purim podcast, then record an audio file of yourself, and send it to me. 2. a quick ad for your blog. Time's a wasting...get to work! But there is another way! We've set up a number on GCast for people to call into and record onto. You just call, record, and hang up. If you're in the US: 1-888-65-GCast. Internationally it says +1-305-437-8719. The ten-digit code is C1MAURP1ZZ; The PIN is PURI. Punch those in slowly, it doesn't register if you do it too fast. You can listen to whatever you record before saving (and you can delete it before submission). Please press 2 to save - thanks! Ynet's weekly Yahadut-Gesher survey has revealed that some 63 percent of the public believes that the ideal family is comprised of a man, a woman and at least four children. The survey was conducted by The Brands Institute among a sampling of 500 respondents from the adult Jewish population in Israel. Please read that closely: Four kids or more. And the leading "Jewish value" – respecting parents. In answer to the question what is the most important Jewish value, 56 percent said that respecting parents was the most important, there was a consensus on this among traditional and secular respondents (65 percent). The Shabbat was the second most important value with a significant gap - only 18 percent view this as a leading Jewish value, followed by holidays, charity and Torah study. Among the ultra-orthodox community, 42 percent said the Shabbat was the most important value, followed by Torah study (18 percent). Even 38 percent of orthodox respondents noted that the Shabbat was the most important value, before respecting parents (22 percent) and Torah study (13 percent). No need to argue which is "more important" -- is it "Talmud Torah kneged kulam" or "V'Ahavta Lerei'acha Kamocha"...I think this survery is good news. The post about the Purim Podcast has been updated with the info. Hijacking Jameel's blog is fun - I should SO do this more often...! Wherever Jameel is [hint: think Middle East...], he really wants to hear you in his Purim Podcast. Jewish Music Group as my Purim submission (even if I didn't have anything at all to do with its production)? UPDATED (by Ezzie): Some people are wondering how to record material... There are many options. If you have an MP3 player, and it records, that's one way - just email the file. If you have a mic (or headset with one) hooked up to your computer, you can likely record that way. Sorry I've been occupied the past few days...been very busy. - Orthomom's ongoing legal woes vs. Pamela Greenbaum. This landmark case will have repercussions for the entire Blogosphere and it should concerns us all...(well, for anyone who values any sort of anonymity and free speech. "I will share with you my concern about communications and letter-writing campaigns orchestrated by people who are not as familiar with Barnard as you are, and who may not be in the best position to judge the matter at hand." Only those familiar with Barnard are capable of determining if junk research academics can get tenure at Barnard? 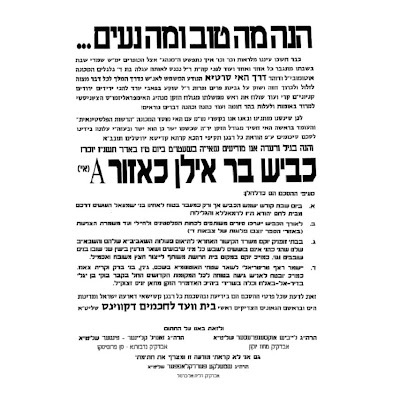 -The death of R' Mordechai Breuer z'l. Both Lipman and AMK wrote about it. Oh yeah...and Purim is coming. I wish he did this for the sake of Adar/Purim levity...but alas, that is not the case. So much to write about. I'm sorry I was out of commission last week; hardly any time, and even less internet access. More to come....Purim is approaching. In an abrupt, yet neccessary change of pace; my condolences to real-life-blog-friend Steg, who is sitting shiva for his father z'l. You'll be hearing more from me later. ** Not only did I just notice before posting this that Jack has the exact same picture, but he used "Chelm" in his title. I guess we have been reading each other's blog for way to long, or perhaps we are just the same person after all. *** If you want a link drop as well, please let me know! **** Hat-tip to Gee, I'm a Moron for the JPost link. I'll admit that as of late, I've been traveling on airplanes quite a bit and have gotten used to long stretches of travel time without the interruption of the cell phone. Even better, without the interruption of OTHER people yapping it up on their cell phones (sometimes you wish that PEOPLE had a volume control). This is why I hope airlines continue to resist allowing passengers to use cell phones in flight. In any case, last week I took a ride on the train -- something I haven't done in a while -- and I'd forgetten how much of an issue cell phone use is on those trips home in the evening. Many people look forward to a good nap on the ride home so that after a long day at work, they can be refreshed when they arrive home to meet their family. "HELLO!?... YES!!... WHAT??? I'M ON THE TRAIN!..." "HELLO? ARE YOU THERE? DARN CELL PHONE COVERAGE..."
Then my friend explains that the walkie talkie is a cell phone jammer. With a fully-charged battery, he can block cell service for about half of the car we were in. 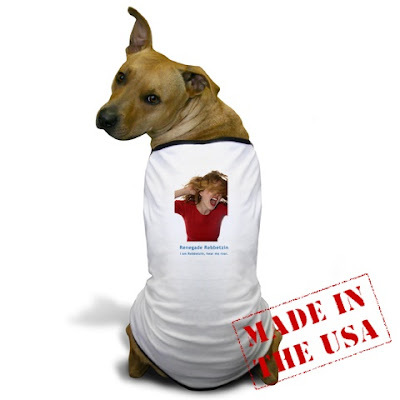 These jammers are illegal in the states, but can be acquired easily enough on the internet. Such a hand-held battery-powered jammer runs about $285 -- a small price to pay for peace and quiet, and a good nap on the train ride home from work. Of course, the question arises, is it right for someone to block cell service for so many people just to grab a few minutes of shut-eye? While the person yelling on the phone is certainly violating cell phone etiquette, is the person doing the jamming any better? So, while I'm waiting to check in, here's my Paris story for you. My French work colleague was very gracious and offered to drive me around Paris a bit before my flight out this evening. When I hosted him in Yerushalayim last month I went around the old city with him, so he was very happy to reciprocate. On our drive to the Eiffel Tower, he told me about how as a French national, he was proud that France is doing a lot to come to grips with its complicity with the Nazis during the Holocaust. 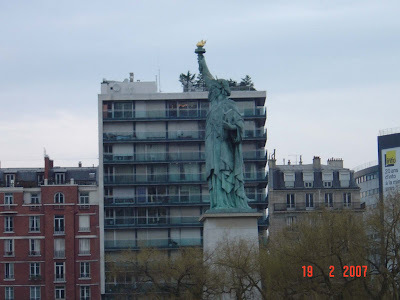 He spoke about memorials being erected to remember France's part in the deportation of Jews, classes being taught in schools, and the rigid "Holocaust anti-denial" laws. I told him that I still hadn't decided whether I would wear a kippa or a cap when going outside to the different sights to take pictures, and when he heard my indecision, he was absolutely horrified. He was deeply embarrassed that antisemitism is so rampant that almost all Jews refrain from wear kippot in France, and he insisted that I wear my kippa. He was literally overwhelmed that I was considering otherwise, and repeated over and over, "you MUST wear it...you must," as if wearing a cap would humiliate him -- that I would be in danger by proudly expressing my Judaism in his country. I decided in the end (to his relief) to wear my kippa as I got out at the Eiffel Tower to take some pictures and mingle in the crowd to get better shots. Don't get me wrong -- there were stares and stares from many people there, but I ignored them as I took my pictures (and kept looking around, ready to defend myself from any attack). While it was depressing that I had to be in such a defensive mode, my colleague was very appreciative, and he respected me even more afterwards. Oh..my hotel just announced (after a whole hour of waiting) that their computer systems are up and running. Therefore, I'll just post some pics of mine from today, and will continue blogging tomorrow. 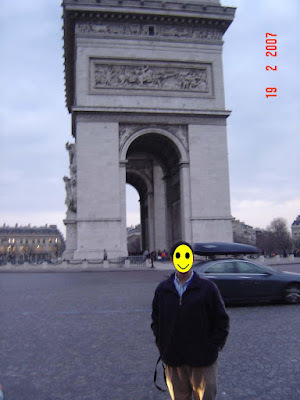 With all the things going on, (the lawsuit against Orthomom, Israel Police Chief Karadi resigning, our new IDF Chief of Staff Ashkenazi, and more), I find myself in Paris of all places. I'm unable to blog it all now but hopefully, I'll have it up this evening. It's grey and gloomy in Paris today and I'm about to visit the Eifel Tower. The big question is, "to wear my kippa everywhere or a baseball cap?" 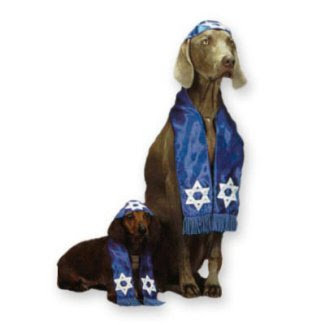 Pros: Jewish Pride. Kiddush Hashem. Cons: Could get beaten up. I'll let you know how it works out, and put up some pictures as well. Bloggers United Against Pamela Greenbaum. For those of us in Israel, this story erupted about 3 minutes before candle lighting on Friday, so we didn't know about it till Saturday night. According to the NY Daily News, Lawrence Public School board member Pamela Greenbaum is suing Google to disclose the identity of the Orthomom blogger, because she was allegedly defamed on the blog and called "ugly" and an "anti-Semite." One doesn't have to be a rocket scientist to see that Orthomom never said Pamela Greenbaum was ugly or an anti-Semite, but a commenter did. First, it would seem that she should be asking for disclosure of the commenter, not Orthomom. My understanding of Blogger Law 101 is that merely providing a form for allegedly libelous comments cannot be the basis for a lawsuit. Second, the comments in question don't appear to consitute defamation. Epithets like these are not statements of fact, and therefore not libelous. It’d be hard to represent a more misleading set of factual claims. The only times the claims of Greenbaum’s being “ugly” or a “bigot” come up are in anonymous comments to this post. It’s impossible to know from the story how much of the factual error is Greenbaum’s and how much is Martinez’s, but either way this is an obviously ridiculous lawsuit that presents at least some questions about Greenbaum’s approach to the First Amendment in her life as an elected official. For the suit to exist at all, she must believe that people don’t have a right to express opinions of her. That’s a scary position for a school board member to maintain. DovBear suggests that Greenbaum stop crying and start blogging. Orthomom herself doesn't appear too worried, because as quoted by everyone above, Greenbaum has absolutely no case against her; Orthomom didn't even WRITE the alleged insults. The bottom line here is that Greenbaum looks rather foolish to sue Google to force the disclosure of Orthomom, when it was an anonymous commenter that implied she was ugly. However, Greenbaum has now given us lots to think about for the upcoming Purim Podcast, and we sincerely thank her for that...reality is always much better than fiction. Labels: Frivilous lawsuit, Lawrence, Orthomom, Pamela Greenbaum, Purim? Purim is coming...are you ready? That's right, Purim is coming. This year, we have raised the bar (and our expectations) for Purim in the JBlogosphere. We will NOT be planning parodies this year (but feel free to do that if you wish, and I'll be more than happy to publicize them here). Instead...we're aiming for bigger, better, and (hopefully) funnier. Think you're funny enough or clever enough to show the JBlogosphere what you can do? Drop me an email (muqata@gmail.com) and we'll see how to get you in the act. 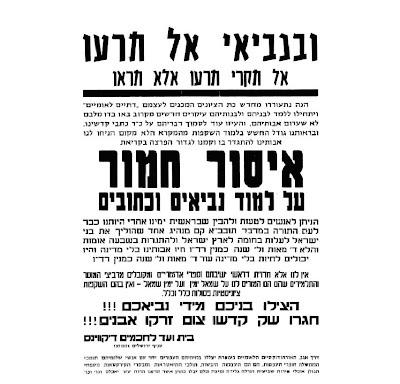 Getting us into the spirit of Purim, is Ben Chorin, who somehow located the entire infamous series of Purim Pashkevil (posters) from Meah Shearim. All these pashkevilim have actually appeared on the walls of Jerusalem (and other places around Israel). Check them all out here. This one about Bar Ilan Road being considered Palestinian "Area A" on shabbat, and being patroled by Palestinian policemen to keep Jews from driving on it, almost generated an international scandal. OK people, this is it. Wanna get in on the act? Drop me an email. Does Barnard Need Junk Academics? Its tenure time at Barnard College, and Nadia Abu El Haj is aspiring to attain the coveted Barnard professorship title in her field of Anthropology. Unfortunately, tenure for Nadia Abu El Haj does about as much to further Columbia and Barnard’s academic standing, as Hamas has done to promote peace in the Middle East. One only has too examine her doctoral thesis (and now a book), “Facts on the Ground: Archeological Practice and Territorial Self-Fashioning in Israeli Society.” to see that her analysis of “archaeological practice” has nothing to do with anthropological or archaeological analysis, and is just your run-of-the-mill anti-Israel rhetoric, masquerading as junk research. Her analysis of Israeli society determines that it is a "settler-colonial community", and has “invented” an ancient history in the region by the use of archeology. Historians are appalled by her junk research. As Arab mobs riot these days over Israel's attempts to rebuild a bridge to the Temple Mount and the to excavate outside the Mugrabi Gate (and therefore, outside the Temple Mount complex and Mosques), one has to wonder why Barnard College is demeaning itself by offering tenure to junk academics, bent on the denying the legitimacy of the Jewish State. Are you an alum of Barnard or Columbia? Why not drop an email to Barnard College President, Judith Shapiro, (jshapiro@Barnard.Edu) or Columbia College President Lee Bollingermailto:Bollinger@columbia.edu) and let them know that tenure for Nadia Abu El Haj degrades your alma mater. Know someone who studied at Barnard or Columbia who values academic research integrity? Send them a link to this posting. Universities are research institutions, and politics can and should play a role in formulating opinion. Yet when academic research is corrupted to that point that anti-Israel junk-academia peddlers are eligible for tenure at Ivy League schools, I think we need to take a step back and ensure that research at our universities remains free of the likes of Nadia Abu El Haj. Capitulation to Terror: Mugrabi Gate Bridge project halted. Haaretz is reporting that the current plan to build a new bridge to the Mugrabi Gate Entrance to the Temple Mount has been withdrawn. Effectively, there are no entrances for Jews to visit the Temple Mount and no simple way for the Israeli Police to enter the Temple Mount when the Arabs riot and throw stones at Kotel worshipers. Yisrael Meidad has all the background information (up until the project was canceled a few minutes ago) and JoeSettler has the pictures. Last week, Foreign Minister Tzipi Livni said "There are irresponsible people, who know perfectly well that there is no damage being done to any holy site, who are abusing the Israeli democracy to incite religious sentiments for political gains." Who loves these irresponsible people? I assume the answer lies in this AP Confidential News Form which was sent by a loyal Muqata reader. Instructions for Reporters: Please use this form to report on the news that involves Friday prayer meetings. Please have your work turned in no later than 3:00PM on Friday. Keep in mind that it is not necessary for the events to have concluded (or even taken place) before completing your submissions. Accompanying photographs will be created by the graphic design department. Please check the requested photo type below. During the demonstration the Muslim youths in attendance allegedly began throwing rocks at the (Israeli Defense Force/Police/local KFC). Imam Tariqi al-Husseini al-Sumbahdi stated “We were simply (peacefully protesting/praying/reading the Koran) when we were attacked. Many of our children were killed in the attack but I didn’t see any of them throwing rocks.” An investigation concluded that no rocks could be traced back to the alleged Muslim perpetrators indicating that it was probably incited by the (jooz). This most recent event makes it clear how (the Israeli-Palestinian conflict/the occupation of Iraq/global warming) is causing increased problems in the region. White House representatives condemned the deaths and issued a (warning/caution/concerned glance) to (the IDF/Israel/scary monsters) for escalating tensions in the region. To help the suffering Muslims the US Administration has agreed to send (fill in the blank) million dollars to help fund peaceful efforts in the region. Jamil Hussein released a statement verifying all events in this report. Now I don't know about you, but Jameel's blogroll reminds me of an overstuffed closet. It is chock full of all sorts of treasures. The problem is trying to determine just what is gold and what is Fools Gold. It is not really my place to criticize the host but I am feeling rather grumpy so etiquette goes out the window. So I have to continue along this perilous path and ask Jameel a question. Have you noticed that a few of those blogs are dead. It is not like the Princess Bride where we can say mostly dead is partially alive. They are dead and there is less hope of them being restored than Elvis suddenly showing up for a waffle breakfast. See, criticize someone else and you forget about your own problems. You'll have to excuse me now I have to run back to my blog and see if there are glaring issues that Jameel can blast me about. As they once said, lulei demistafina. Jack's done a pretty decent job of putting together Haveil Havalim this week. A pretty decent job, but he only managed to slip my blog in 7 times. 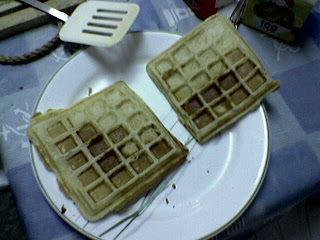 I was sure that Jack would manage a few more, especially after gorging himself on waffles at my house. Do you know that he can burp louder than anyone I know in the Northern hemisphere? In any event, head on over to Haveil Havalim #106. PS: Since Jack omitted Sarah-with-no-H from his list, here's a bonus link to her site as well. Arabs betray America (again)...pass the Humus. The bad news is that once again we are like rabbits caught in the headlights of a car. The really embarrassing news is that we are stuck there along with the United States. By the time the agreement between Mahmoud Abbas and Hamas was signed in Mecca on Thursday, the American Administration had been betrayed three times: Once by Egyptian President Hosni Mubarak, then by Saudi king Abdullah, and finally by Abbas. These three American allies ignored Condoleezza Rice's pleas; they negotiated with Khaled Mashaal and bent her will in his favor. The agreement constitutes a severe blow to Rice's reputation in Washington. Despite the White House's warnings, she has been investing much effort in a bid to strengthen and glorify Abbas. Next Monday, on February 19th, she was set to have been rewarded for her efforts in a festive summit under her auspices. The summit between Ehud Olmert and Abbas would have served as a first step towards commencing talks between the two sides. The agreement signed in Mecca has emptied the summit of content. Currently Rice is debating whether to hold the summit or cancel it. Via diplomatic channels, Abbas promised to wait with the establishment of the Palestinian national unity government until after the summit. From Rice's point of view this is small consolation. Abbas is actually seeking to remain under US patronage as if the agreement he signed with Hamas does not exist, and to cooperate with Hamas as if America, the Quartet and Israel do not exist. Rice is finding this a bit too much to swallow. 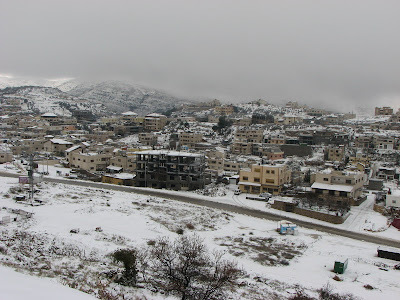 Abbas and his associates did not go to Mecca by choice, but rather, out of fear. The violent clashes between Fatah forces and Hamas threatened to escalate into a full blown civil war. Abbas is not cut out for this type of conflict. He feared that anarchy would turn the Palestinian Authority into a Middle Eastern model of Somalia. And perhaps, as Israeli sources argued, he also feared for his own life. Either way, he preferred temporary calm with Hamas over a long-term treaty with the Americans. The Saudis and the Egyptians followed suit. Unfortunately, Barnea really believes that glorifying Abbas "the moderate Sunni" will bring about the possibility of change. Fundamentalist Islam is not the only threat to Israel, and "moderate" Sunnis, which the US State Department, Dr. Dore Gold, and others like to consider as realistic alternatives, are only possibilities -- if they aren't terrorists. Glorifying a terrorist and holocaust denier like Abbas is what exacerbates the problem -- it does absolutely nothing for peace in the Middle East. The above video is being sung by Yisrael Chaim, a young Israeli cancer patient. He recorded this song about his battle with cancer in between chemo sessions, just before his Bar Mitzva not too long ago. This video was produced by Zichron Menachem, a very worthwhile organization if you are looking to give tzedakka to. They also accept donations of hair to make into wigs for children, who are undergoing chemo therapy. Established in 1990, Zichron Menachem (ZM) is named in memory of Menachem Ehrental, an Israeli boy who battled cancer for over 14 years - from age 18 months until his young death. Drawing on their vast experience as parents of a cancer-stricken child, Menachem's parents, together with family and friends, founded ZM as a non-profit organization aimed at easing the suffering of young cancer patients and their families. Yes, there are war drums beating at Israel's northern border. Before we discuss that, some acutely vivid memories popped into my head on my way to work. While PsychoToddler is a known video game addict, I also used to waste my share of quarters on video games when I was a teenager. Places that come to mind with those machines are the "Greasy Spoon" type places (who knows what it's really called) across the street from YU's Beit Midrash in Manhattan, which is next to Shaller's book store (if that still exists). I don't know why I got to thinking about Washington Heights this morning, but the Greasy Spoon definitely occupied my thoughts. The good news for PT is that newly released research proves that Video Games are good for your eyesight (besides improving eye-hand coordination). When a terrorist shot up the Greasy Spoon on Amsterdam Avenue in the 1980s, one high schooler even was saved by ducking into the video game. Though not many of the readers here know this, there used to even be a "game room" in the basement of YU's Furst Hall, with dozens of pinball machines and video games. At some point in time, they migrated to the Morg dorm's basement. But when I was younger and had no access to these locations, I would play at the "Chopsies" Pizza store, where "Pepe" the counter guy was a known icon. I must have burned dollars and dollars playing "The Wizards of Wor", PacMan, Ms. Pacman, Frogger, and Space Invaders. My hard earned babysitting money of $1.25/hour would disappear into the machines, as I fed my electronic addiction, hoping for a high. Next door to "Chopsies" was "McDovids"...one of the first Kosher fast food places in NYC, along with Kosher King (in Brooklyn)...which was sued by Burger King has had to change it's name to Kosher Country. Who would have thought back then that I would have access to all those games of yore on my laptop in 2007, and can play them to my heart's content without feeding in a single quarter. OK, enough about video games and back to reality. Last night, Israel's border (surprisingly...not) started to heat up with an exchange of gunfire and tankfire between the IDF and Lebanon's army. Arabs have decided that while they can defile the Temple Mount by destroying all the evidence they could find of the Beit HaMikdash underneath the "Solomon's Stables", yet when Israel tries to excavate near the Mugrabi Gate (so they can build a new bridge to the entrance of the Temple Mount), the Arabs (in typical fashion) lie to the world and threaten terrorist attacks on Synagogues. 1. Israel is trying to build the Third Temple. Go back to the rock you crawled out from, JERK. The last time I saw Moshe Saperstein was in August, 2005. I was driving into the slated-for-destruction community of Neve Dekalim in Gush Katif. The IDF had already cleared out all pockets of "resistance", had broken the spirit of the residents, and all that was left was for the lucky few who could get back to their homes, was to hastily pack up their possessions in a few hours before the bulldozers started their work. One family from Ganei Tal was detained at the checkpoint, and was refused entry to the Gaza Strip because of the polite nature of the Israeli police. After hours of haggling, and they were finally allowed entry; they rushed to their home only to see it bulldozed to the ground in front of their eyes, with all their possessions in it. 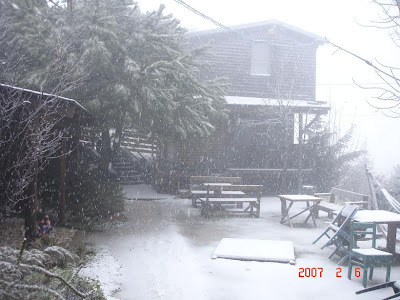 Back to August 2005; I was driving into Neve Dekalim, showing my special Defense Ministry permit that allowed me entrance to Gush Katif, and my passenger asked me to stop. She lowered the window to say hi to Moshe. With tears in their eyes, they could not believe that the Disengagement was actually taking place. I said hi to Moshe, and "chazak v'ematz" not knowing what else to say... Moshe is missing part of his hand and fingers because of a terror attack from a few years earlier, and he and his wife wrote a book which we used to keep next to our front door, "What to do in case of a terror attack." The book was for people to know AFTER a terror attack, what to do...one of the most important tips was to bring spare change and a cellphone charger to the hospital. The reason I mention all this is because Moshe Saperstein just won a US Federal court case against the Palestinian Authority and PLO for their role in a terror attack against him. Now he is trying to collect (or freeze the assets) that they own him -- $16 million dollars. It's unfortunate that the US State Department doesn't cooperate on issues like this, and will bypass the United States legal system to funnel money to the PA at all costs...even at the expense of dual American-Israeli citizen victims of Palestinian terror, backed by the Palestinian Authority. Maybe you should ask your congressmen about that one. 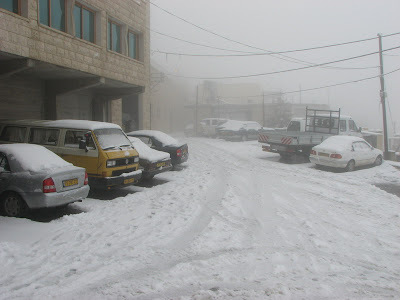 Ending off this post on a slightly more cheerful note, or perhaps, just a slightly more bizarre one; The Israeli city of Rechovot has misplaced...an entire neighborhood. 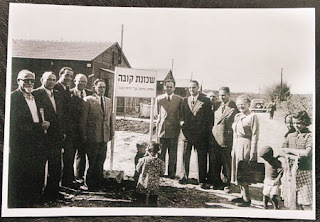 Apparently, someone found this 55 year old picture (shown below), which heralds the opening of a new neighborhood in Rechovot, "The Cuba Neighborhood." The problem is...no one has any idea where the neighborhood is. It's as if aliens abducted the entire neighborhood, since it doesn't exist on any map. That's it. No more today...join us next week where we follow up with some of the comments left over the past few days about Israel and aliya. PS: As a Public Service Announcement, WestBankMama has moved blogs from WestBankBlog to WestBankMama. Update your links. NB: I saw this weird story the other day with the following picture. Not every door that closes opens a new one, the fear you experience in a dark alley is not always a byproduct of an over-active imagination, a light at the end of a tunnel does not necessarily mean you're saved, if you smell incense it does not mean you're in a spa: Welcome to the "Nightmare". Nightmare, Eilat's horror labyrinth, is one of world's most terrifying tourist attractions (yes, scarier than a roller coaster ride), and we have been around. We can not elaborate on the route starting at the dark, incense-saturated room and the horror-film sound track till the moment you'll scream in fear. 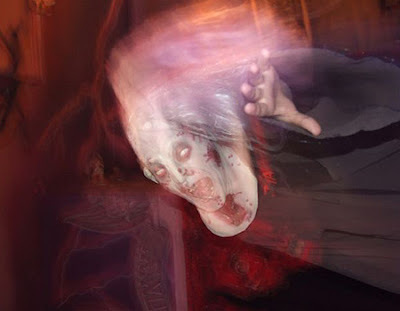 What we can say is that the experience includes walking in total darkness, voices and sounds you'll hear, and the feeling that Freddy Kruger awaits around the next corner. The only chance to get out of the maze is to follow the faint red lights, never stop, not look back. Alternately you could yell "nightmare" and one of the maze operators will come to take you to safety. Don't assume that does not happen – over 5,000 people have chosen that option so far. Apparently, Israelis like being scared (which is obvious by the way they drive). Bigger kids can stay out late (or later) in the neighborhood, away from home, and come home without worry. Kids can ride their bikes all around the yishuv, and we don't think much about it, or worry when they go around the block. All food sold anywhere around our yishuv is kosher. Jewish education is part and parcel of life here; the Hebrew date is on every newspaper, and announced on radio every morning. You can write checks with the Hebrew date on it. Why is that quality of life? Because it makes Judaism integrated into kids lives...naturally. Everyone here KNOWS when the chagim are...kids have vacation for chagim. There is no "Christmas" craziness. The bus driver will wish you a Shabbat Shalom on Friday, as will the people packing your groceries in the supermarket. Is that quality of life? Of course it is. Judaism integrated with your life everywhere is natural in Israel. Only in certain neighborhoods in the US can you find that, like Kiryas Joel or Williamsburg. Even in the 5-towns or Passaic, there is an acute realization that Judaism is not integrated everywhere, in everything. Except in bungalow colonies in update NY or camp, where can you get that quality of life? Yes, our homes are smaller than the ones in Pico-Robertson or Teaneck, but is that "quality of life" compared to kids being able to walk around outside without a leash and GPS tracking device attached to them? There are much nicer cars in the US...and gas is cheaper. Yet can you go on tiyulim that bring the Tanach alive? That quality of life can only be found here. The reason I'm harping on Jewish education, is that everyone invests so much money on education, but when love for Eretz Yisrael and parts of Judaism can be absorbed through the osmosis of living here, I consider that to be quality of life of the utmost. Safety and Security? I think if you ask people here, most will say they feel safe. 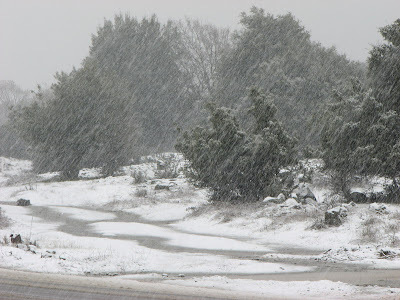 It's stormy today here in Israel...with snow up in the Golan and Tzefat. 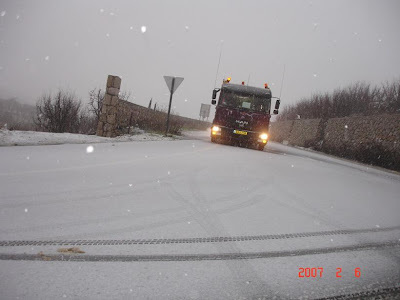 Road leading to Neve Ativ. Picture Credit: Ofer A.
Moshav Neve Ativ. Picture Credit: Ofer A. Who are the Mysterious Graffiti Wizards of OZ?